On the Department of Foreign Affairs and Trade’s red carpet day, the AIIA examined the 2017 Foreign Policy White Paper to determine the key takeaways. It begins a week’s analysis of the government’s most comprehensive foreign policy strategy document in more than a decade. Australia’s first Foreign Policy White Paper in 14 years opens with Prime Minister Malcolm Turnbull’s declaration, “change, unprecedented in its scale and pace, is the tenor of our times”; and it is the changes in global power dynamics, international trade, security, technology and the environment that profoundly shape the document. Adopting a 10-year horizon, the White Paper says the rapidly changing world presents Australia with new opportunities for free trade, security cooperation and transnational connections. During this time, it claims Australia’s interests will be supported by the continuing strong presence of the US in the region. 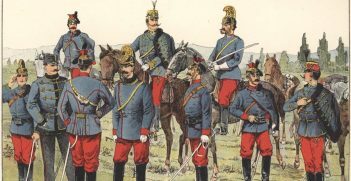 However, the changes also bring challenges, including the upheaval to the existing order of the ongoing rise of China. Within the context of this changing world, two main priorities underpin the White Paper. The first is Australia’s continued commitment to upholding the rules-based international order and pursuing increased trade. 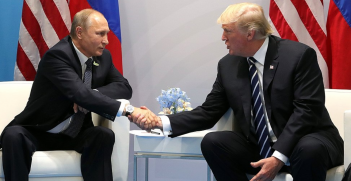 The prosperity that the existing international order fosters is said to be closely intertwined with our security, making efforts to sustain it more important than ever. The White Paper maintains that, although a middle power, Australia’s resilient democracy and robust economy will ensure it continues to have considerable international influence. Importantly, that influence will be most strongly felt within the Indo-Pacific region. The second priority of the White Paper is stability in the Indo-Pacific region. The paper is full of references to the Indo-Pacific and Australia’s capacity to play a role in determining regional outcomes. It anticipates that emerging powers will be incorporated into the international institutional framework and cooperation between Indo-Pacific countries will increase as new markets emerge from Asia’s ongoing economic boom. Australia’s influence is highlighted as being particularly vital for its closest neighbours, including Timor-Leste, Papua New Guinea and other Pacific island states. The ever-present influence of the US and China is recognised. While the US is expected to remain the most powerful country in the region, its dominance “is being challenged by other powers”. China’s power and influence are “growing to match—and in some cases exceed—that of the United States”. The power balance between the US and China make Sino-American relations of great strategic importance. Australia will encourage China and the US to manage their economic divergences to ensure that the economic tension “does not fuel strategic rivalry” or “damage the multilateral trading system” in the region. … the Government will place a high priority on protecting and strengthening the international rules that guide the conduct of relations between states. At the same time, the White Paper says Australia will seek to further engage China across different levels and on various issues. In response to a rapidly changing security situation the government has committed to a holistic and dynamic action plan. This includes a focus on new threats posed by cyber security and by activity in space, in addition to countering existing threats posed by North Korea, terrorism and irregular migration. 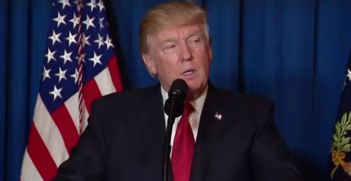 The White Paper identifies a number of “fault lines” that may prompt regional conflict, including the South China Sea and it restates Malcolm Turnbull’s comments from earlier this year that any attack on the US by North Korea would trigger Australia’s commitments under ANZUS. At the same time, the country will continue cooperating globally to combat international terrorist organisations both domestically and abroad, most notably the increasing regional threat in the Southern Philippines. Australia will remain committed to combatting people smuggling and irregular migration with continued humanitarian efforts and by helping to maintain community support for refugee resettlement in Australia. By cooperating with regional partners, Australia will also continue its turn-back policy. The White Paper reiterates the 2016 Cyber Security Strategy to partner with businesses, strengthen cyber defences, pursue global influence in the cyber sphere, foster growth and innovation, and create a cybersmart nation. This is coupled with a commitment to also pursue offshore cyber criminals. The paper recognises the need to engage with new media platforms in strengthening national security and citizens’ safety. There is a concern that these platforms allow foreign governments to spread misinformation and interfere with sovereign institutions to influence decision makers and public opinion. DFAT will pair with social media companies to make the most of technologies such as Facebook to ensure citizens’ safety in disasters abroad. Interestingly, the government is also strengthening its space surveillance capabilities and developing a space agency to counter threats posed by foreign space innovation. Australia’s economic interests are intertwined closely with its security interests. This convergence underpins the entire Foreign Policy White Paper, with emphasis on maximising trade and openness to mitigate the challenges that arise from an uncertain world. The White Paper outlines a clear agenda for advancing the prosperity of Australia through increased trade and inclusivity. By ensuring opportunity for business and workers in an expanding economy, reducing trade barriers and fiercely rejecting protectionism, the government aims to strengthen its economic hand. Regional trade and investment arrangements that increase competition and transparency are outlined as key to mitigating strategic rivalry and great power dynamics. 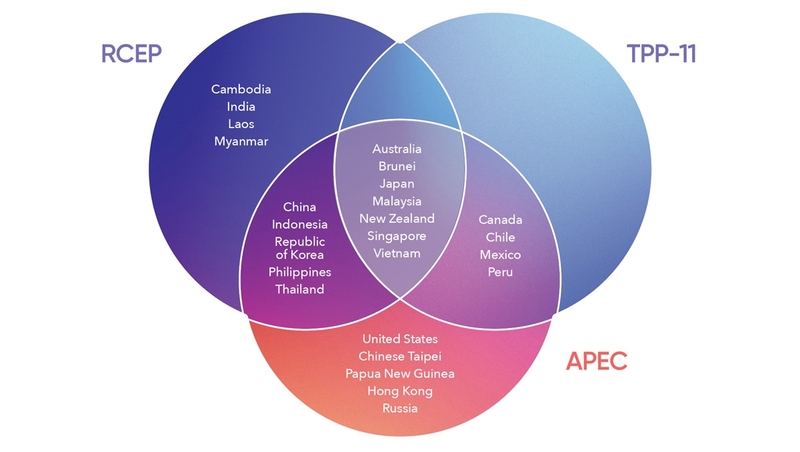 One example is Australia’s commitment to the RCEP negotiations—a partnership that involves ASEAN alongside Australia, China, India, Japan, Korea and New Zealand. Emphasis is placed on both bilateral and region-wide integration as key to successful Australian foreign policy over the coming decade. We live in the most economically dynamic region of the world and have the minerals, energy, goods and services sought by growing Indo–Pacific economies. Multilateral agreements are listed at length—trade and investment links such as AANZFTA, alongside FTAs with Singapore, Thailand and Malaysia. With the obstacles to progress at the multilateral level, bilateral agreements with China, Japan and Korea are presented as paramount to Australia’s prosperity. The paper also outlines how the government will negotiate an ambitious FTA with the EU as well as the UK post-Brexit. The White Paper establishes a clear commitment to advance human rights through development assistance and humanitarian support. 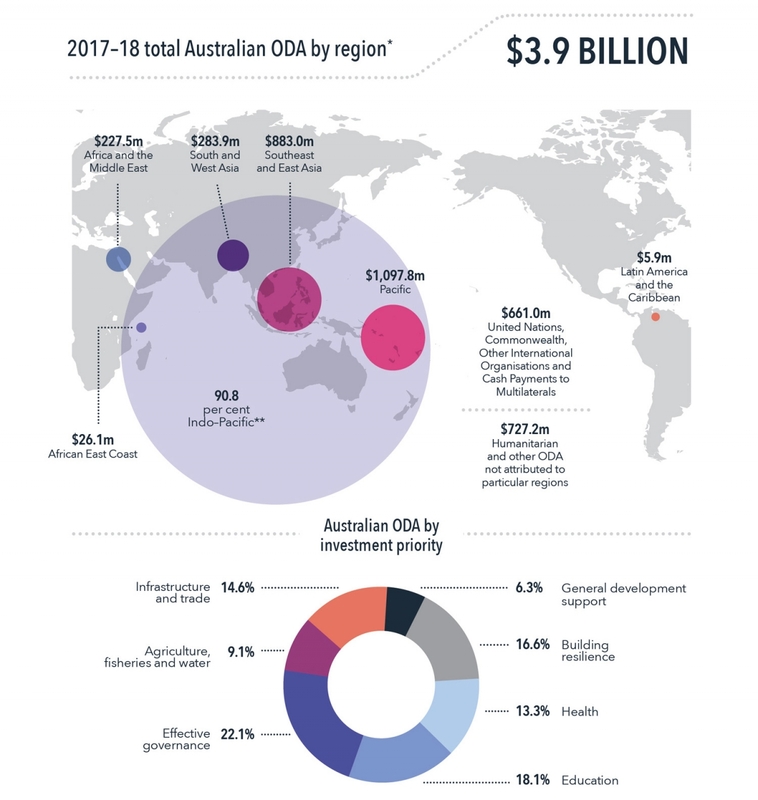 There is an emphasis on how development assistance can catalyse economic outcomes in the region, in turn promoting Australia’s national interest. It is argued that development aid, when used to support initiatives such as effective governance, will be the foundation for economic opportunity and poverty reduction. In turn, the increased stability of Australia’s neighbours will reduce vulnerability to “challenges such as irregular migration and extremism”. This is consistent with the 2003 White Paper which emphasised that mature institutions and accountable systems were the objective. The Pacific region is the largest recipient of the aid program receiving $1,097.8 million in funding for 2017-18. PNG alone receives $550 million in assistance. As a broad objective, Australia aims to enhance engagement with Pacific countries such as Timor Leste, the Solomon Islands, Fiji and particularly PNG, linked to shared security interests. PNG and the wider Pacific are “vital to our ability to defend…our borders and protect our exclusive economic zone”. Australia will continue to make substantial long-term investments in the region’s development. Assistance has been allocated to build resilience to natural disasters and climate change. Australia is improving its capacity to respond to international natural disasters via 48 hours relief response units and the deployment of humanitarian specialists. Additionally, Australia is also investing in “regional disaster preparedness” to mitigate impacts. In the face of unprecedented and worsening climate conditions, natural disasters will increasingly impede economic stability and national security interests. Australia is therefore investing “more than $1 billion over five years” to alleviate the costs of climate change in developing countries. Zoe Halstead, Nicholas Taylor, Gillian Davenport, Breanna Gabbert, Adam Bell and Shixi Guo contributed to this report. They are all researchers at the Australian Institute of International Affairs National Office. The AIIA’s full Foreign Policy White Paper coverage can be viewed here. 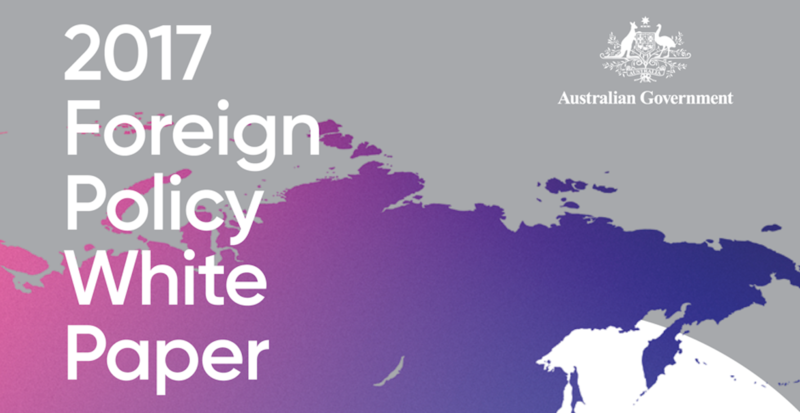 The complete 2017 Foreign Policy White Paper can be accessed here.